There are numerous aspects of White Oak Pastures that are unique, fascinating, inspirational, educational, beneficial, and productive. 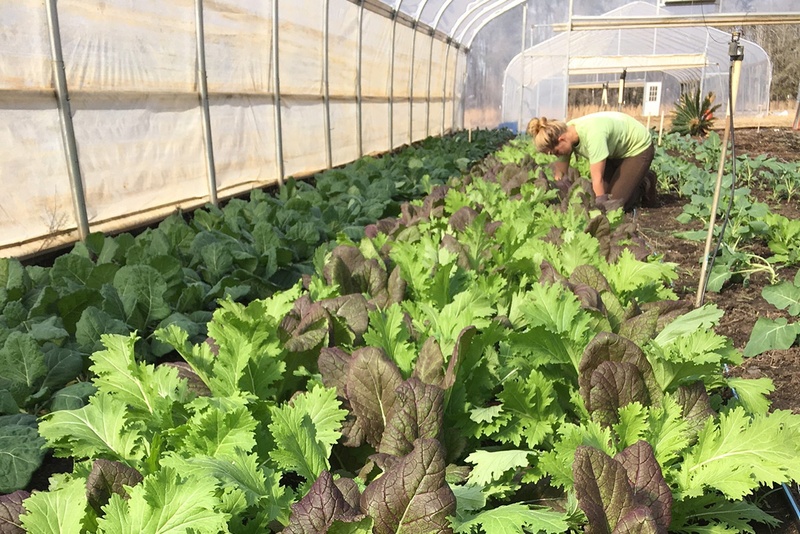 Learn how our Garden Crew is literally planting seeds of success. 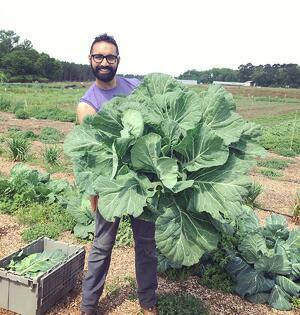 Bilal Sarwari, White Oak Pastures Organic Vegetable Garden Manager, has a foundation built from a major in Human Biology and Anthropology, with a minor in Environmental Studies from Oxford College and Emory University. This foundation, combined with his passion from where health and sustainability meet, guides Bilal during everyday and long-term decision making for our Organic Garden program. An early memory of planting tomatoes at the age of four with his father not only cultivated a garden, but also cultivated an appreciation for the land and what it can mean for people. But, like most White Oak Pastures departments, this is not a one man job. 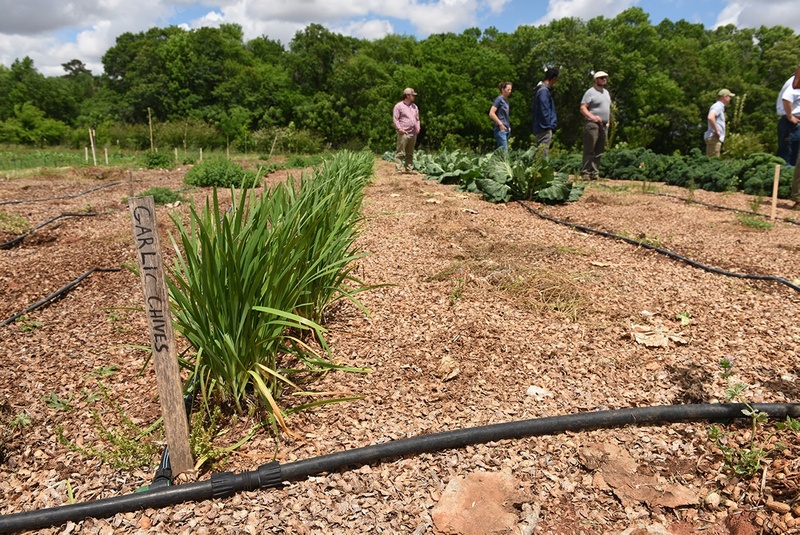 Bilal always boastfully speaks of Sarah Jordan, Maddie Wilbanks, Ty Long, and Chenoa Duke, all of who work diligently every day, carefully managing the soil using organic pest control methods, and harvesting the veggies just hours before they’re processed and frozen. In addition to their gardening duties, the crew leads an effort to revitalize the town through our “Keep Bluffton Beautiful” initiative. 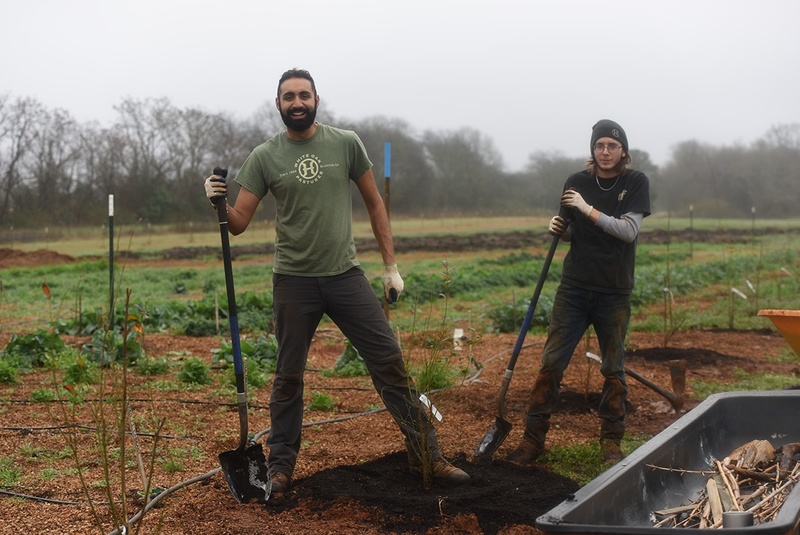 By installing native plantings, interesting specimens, edible landscapes, and pollinator habitats, the Organic Garden crew helps create a vibrant community for Bluffton residents and guests.